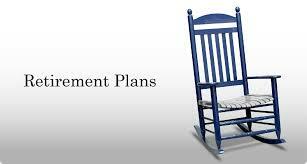 Planning for your kids and your retirement don’t really seem to go together. But that planning includes getting them to leave the nest in a timely fashion — you know, that warm and fuzzy place they’ve lived in all their lives? We love and want the best for our kids, but it shouldn’t be at risk to our financial well being. Helping a child to buy a house or leave college without expense is admirable, but it could put you at more of a financial risk than you think — it may cause you to run out of money too early. A plan for your kids means teaching them sound financial practices. Learning to ignore wants and instead focus on needs. Good spending habits coupled with savings and investment goals. That plan will help them build a strong foundation. In addition, it’s important to make sure they have ‘skin in the game.’ Make them earn their spending money when they are young, and make them share college expenses when they are older. For more tips on creating a plan for your kids, so it doesn’t waylay your retirement can be found in the article A Plan for Your Children Could Save Your Retirement on wsj.com.